Runners are attempting – and crushing – fastest known times like never before. And while brands bet heavily on the trend, detractors claim the practice takes away from the wilderness experience. Just before 5 a.m. on the morning of October 17, 2017, François D’Haene coasted the last few meters downhill to the trailhead at Happy Isles in Yosemite National Park. 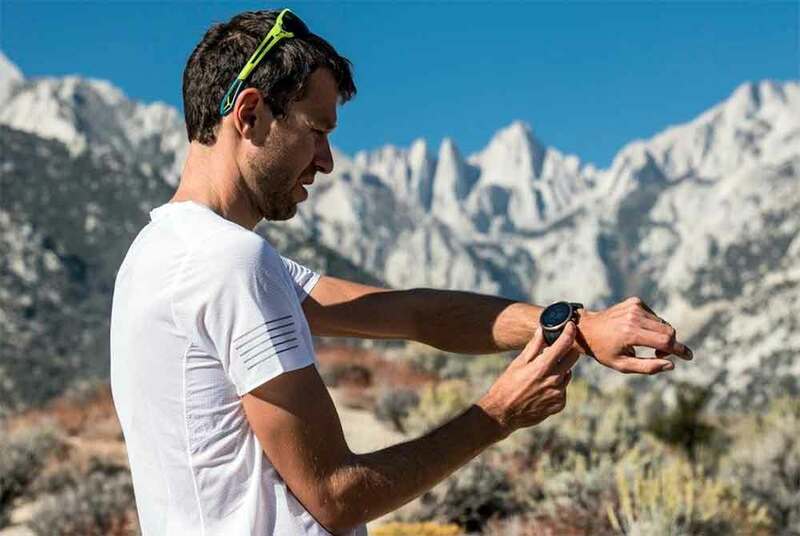 Over two days, 19 hours, and 26 minutes, the French athlete had run 211 miles – the length of California’s iconic John Muir Trail. D’Haene had crushed the trail’s fastest known time (FKT) by more than 11 hours. It was in large part thanks to his prodigious trail running skill and strength. But there’s more to the story. FKTs occur in areas where trail races can’t, often due to federal wilderness regulations that preserve the sense of solitude for those special places. And they sometimes take place where an organized event would be far too dangerous. The late Dean Potter, for example, set an FKT in 2015 that merged climbing and trail running. He solo climbed Yosemite’s Half Dome, then ran down the hiking trail. 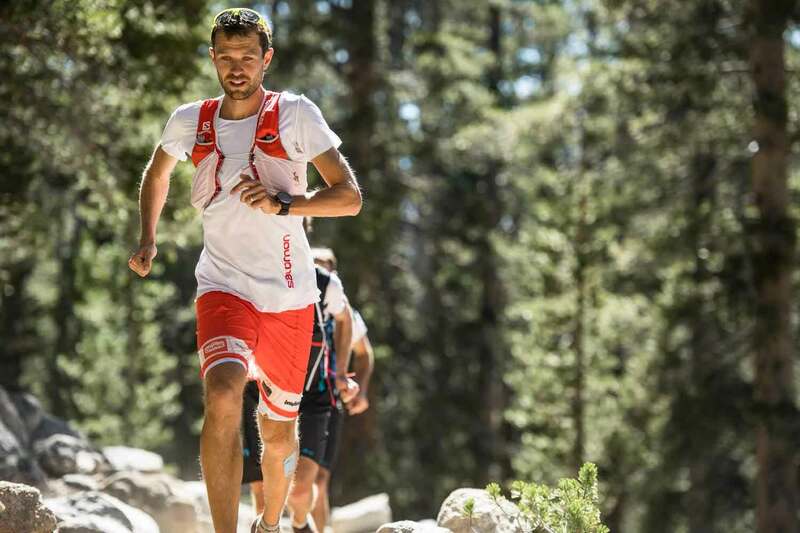 Another famed runner, Kilian Jornet, has claimed FKTs on tall peaks around the world. D’Haene’s record was a notable point in the evolution of the FKT and representative of something new in the trail running genre. His brand partner, Salomon, provided major financial support, allowing the modest and understated vintner from France’s Beaujolais region to transport a team of supporters across an ocean and a continent to help make it happen. Around the world, trail running companies are now rushing to throw support behind FKTs in a way never before seen. The results are impressive. Records are falling, and creative athletes are daydreaming of – then absolutely crushing – projects never before imagined. 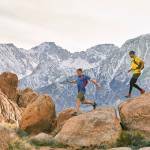 GearJunkie partnered with Merrell to bring Find Your FKT to life. The promotion aims to raise awareness of the FKT movement and inspire folks to get out and enjoy trails. It will also award nine trail associations with a total of $10,000 for trail maintenance and projects. FKTs, it seems, are having a moment. It wasn’t always so. The FKT concept has modest origins going back nearly two decades. The practice was popularized by Coloradans Peter Bakwin and Buzz Burrell. The duo realized “fastest known time” was the best term during their research for a 2000 attempt on the same route D’Haene would run 17 years later. “In reality, the record didn’t matter – it was about getting out there, exploring, and having a good time with a good friend,” Bakwin wrote in a 2001 article for Trail Runner magazine. But, oh, how the times change. 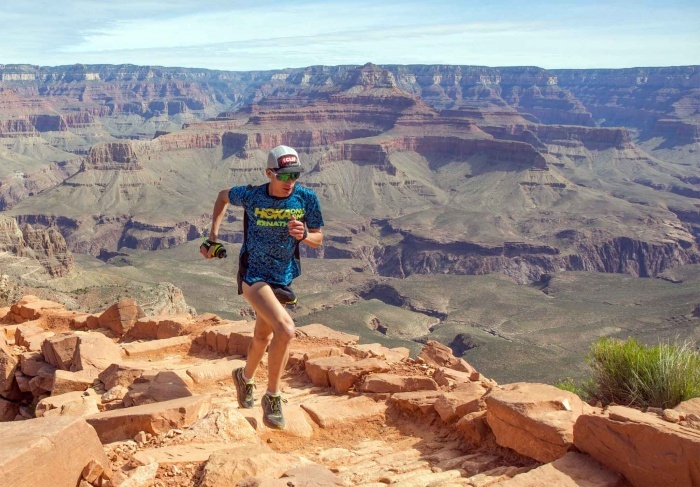 In 2016, trail runner Jim Walmsley set a new record in Flagstaff, Ariz., for what might be the country’s most competitive FKT, the Grand Canyon’s Rim-to-Rim-to-Rim run. The 42-mile trail run has more than 10,000 feet of climbing. Athletic shoe maker Hoka encouraged Walmsley to run the FKT, reportedly with financial incentives. The brand said it sees FKTs as a key part of its marketing and has since deepened its support. In the last year, Hoka has supported high-profile FKTs, like the women’s record on the John Muir Trail and a new men’s record on the Zion Traverse in Utah’s Zion National Park. Today, Bawkin runs FKT Proboards, a constantly updated forum that verifies and lists FKTs around the world. For brands, telling the story of a new record time is an easy win. “In an internal sales meeting, it’s a very easy story,” said Joe Grant, a Black Diamond-sponsored Colorado trail runner who has ticked off a wide range of routes and races around the world. It’s understandable. Brands want to be associated with hot new trends and record-obliterating results that receive plenty of media recognition. And brand support makes a difference, allowing the world’s best trail runners to have a go at both iconic and creative new routes. And brands less involved in trail running are taking note too. Red Bull sponsored longtime ultrarunner Karl “Speedgoat” Meltzer’s 2016 record-breaking run of the Appalachian Trail. The entrance of the extreme-sport brand created buzz around Meltzer’s Appalachian Trail push. But all this might come at a cost. One of the unique aspects of FKTs is the creativity that athletes bring to their self-created projects. Sometimes, too, a focus on time can come at the expense of other values. 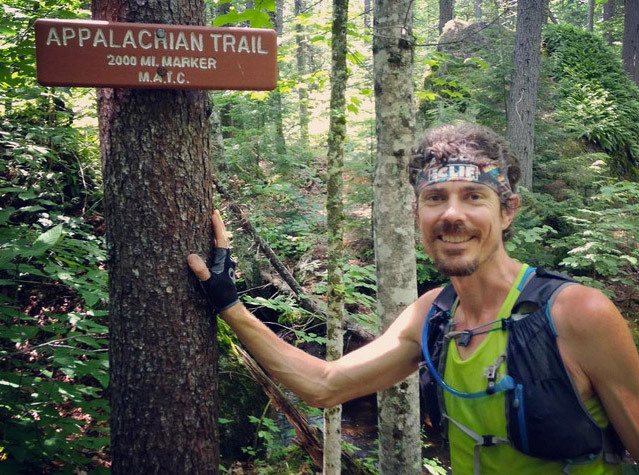 Scott Jurek’s 2015 FKT on the AT collided headlong with Jensen Bissell, the tough-minded supervisor of Maine’s 200,000-acre Baxter State Park, the northern terminus of the AT. In a plea agreement, Jurek was fined for drinking alcohol after celebrating on the summit with a bottle of champagne. Park officials then dropped charges of littering and violating the group size limit. In the New York Times, Jurek was referenced saying he found the charge of littering “particularly galling.” Jurek said he is committed to Leave No Trace ethics, and in the Times story said he packed out thousands of pieces of garbage from the trail. Turning wilderness into a showcase for athleticism can be controversial. Trail runners are working to balance the equation. In the case of D’Haene, Salomon aggressively marketed the FKT. It would be easy to assume that D’Haene was there simply to break the record. Grant has been subjected to the same storyline. In 2016, he set a record for the fastest self-powered and self-supported time, summiting all 57 peaks in Colorado over 14,000 feet as he cycled between them. 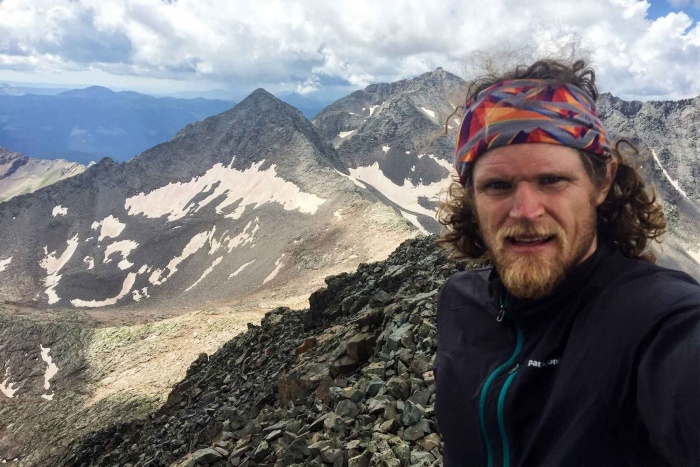 Come June, Grant will be out there again to attempt one of the country’s best-known FKTs, nicknamed “Nolan’s 14.” He will run all 14 summits over 14,000 feet in Colorado’s Sawatch Range. He’ll have to plot his own course – generally between 88 and 106 miles – and finish under 50 hours to nab the crown. Sponsor Black Diamond will be there too. –This article is sponsored by Merrell. Enter the ‘Find Your FKT’ contest here and see all details on the MQM FLEX shoe line at Merrell.